Audiences in Birmingham are being invited to discuss the Grim Reaper with an arts festival packed full of death-related events. A Matter of Life and Death, between May 10-26, features theatre, film, food, art and crafts, exhibitions, tours and discussion all taking place in venues across the city. 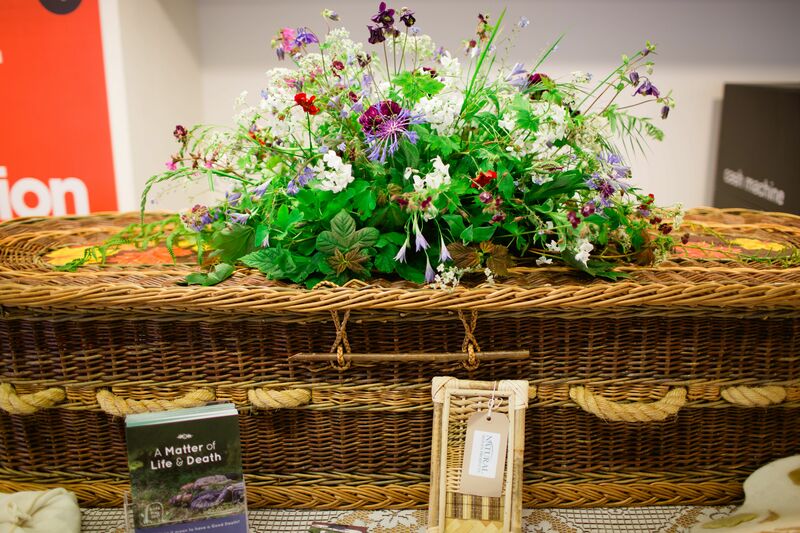 The festival is organised by BrumYODO, a community collective featuring health professionals, undertakers, artists, hospice staff and lawyers dedicated to creating spaces for open and honest conversation about death and dying. 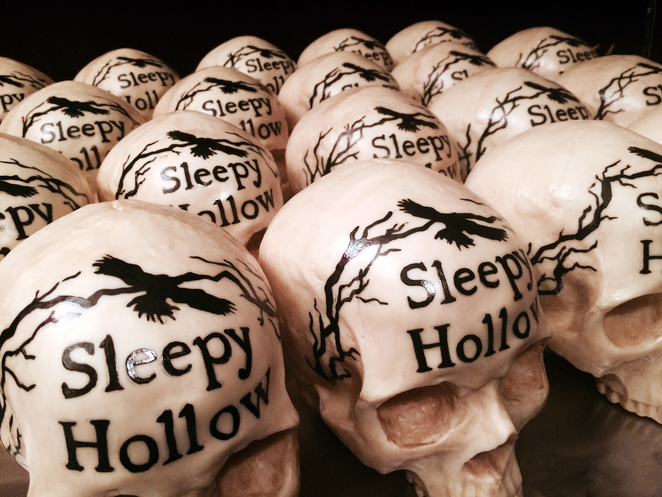 A Matter of Life and Death is launched by Annabel de Vetten of Conjurer's Kitchen with a Movie Taste-Along to the cult horror Sleepy Hollow, starring Johnny Depp. Audiences will be biting into delicious treats inspired by the Tim Burton film. Annabel says: "It will be a light-hearted night to set the mood for a positive start to the festival. Sleepy Hollow is ideal for a death-themed festival but it also has a real fun element to it. During the Movie Taste-Along I pause the film at certain points and then hand out an edible representation of what is on the screen - I'm not saying what they will be because they are a surprise and they certainly won't be what people expect!" And she adds: "It is a real privilege to be included in the festival full stop but then I am thrilled to have the launch event. A Matter of Life and Death is so important because it's about making people aware of the possibilities that are open to them and that there are so many ways of celebrating someone's life after they have gone. The festival is about making people have those conversations as they are so often viewed as taboo in society." Audience members are also invited to Death over Dinner - an evening of dining and death talk with performances and speakers taking place at Stirchley Baths on Saturday May 12. Festival programme manager and BrumYODO committee member Antonia Beck says: "Death over Dinner will be a truly unique event. We are inviting audiences to gather around a table to enjoy a delicious three-course feast, intriguing conversations about death and dying and a line-up of performances and speakers." During the day on Saturday May 12, Birmingham Library hosts A Matter of Life and Death's family events with performances of Bootworks Theatre's The Many Doors of Frank Feelbad, exploring bereavement for young people. Local charity Inspiring Lives will be chatting about how to support families and children who have a sibling who has died, is dying or seriously ill and there will be art activities for all ages. In the afternoon Ort Gallery in Balsall Heath hosts a discussion event called Death, Faith and Cancer which is presented in association with artist Charlotte Jarvis' exhibition Et in Arcadia Ego. An artist who collaborates with scientists, Charlotte's project saw her growing a tumour from her own body cells and aims to encourage discussions around cancer and mortality. Inspired by a painting by French artist Nicolas Poussin in the Louvre Gallery in Paris, Charlotte's work challenges audiences to re-think ideas and language around cancer. 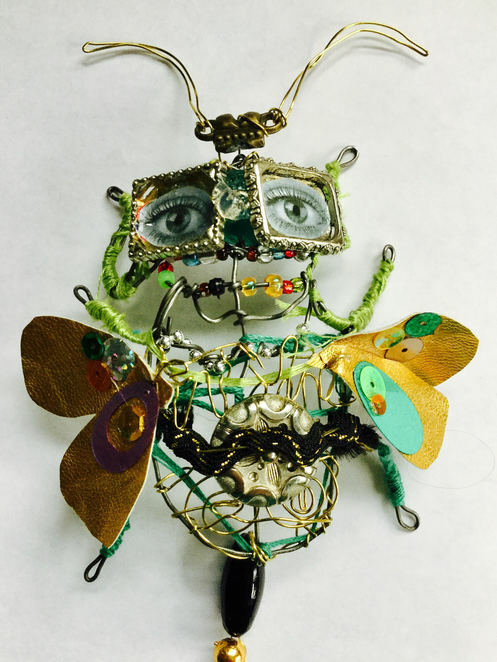 She says: "The project combines art and science to examine mortality and create a public dialogue about cancer. Everyone has some experience of cancer but we believe that this is particularly important in the current context of cancer services within the local community of Ort Gallery and the wider Birmingham area." Birmingham participatory artists Jane Thakoordin and Margaret Murray are holding a series of creative workshops on Friday at the John Lewis Community Hub and Saturday at the Library of Birmingham as well as subsequent dates at the Ort Gallery. Jane says: "We will work with participants to create a series of miniature extinct, fanciful and surreal creatures. They will be entombing precious objects, 'dead' creatures and artefacts in beautiful, precious, intricate final resting places. These tiny creatures will be exhibited in a bespoke cabinet, reminiscent of a lepidopterist's cabinet. We hope people will be engaged in thinking about extinction, loss to the planet of creatures - some of whom we may never have even seen other than in images or drawings. This metaphor of imaginary creatures is one that enables us to talk about loss, death, acceptance and the rhythm of life." On Friday May 11 the festival takes over the Community Hub at John Lewis in the city centre where a day of free activities offers people the chance to take part in workshops looking at funeral planning and will writing as well as a Death Café in which people are invited to discuss issues around death and dying over tea and cake. On Sunday May 13, the A Matter of Life and Death moves to Birmingham Museum and Art Gallery for a free tour, The Shadow of Death exploring items in the collection focussing on mortality, and a Death Café. There's also a marketplace with local lawyers advising on will-writing and hospice staff and death doulas providing information on end of life planning. That afternoon, in partnership with Still Walking Festival, there is also the chance to explore hidden and public death-related places of Birmingham on a newly created walking tour of the city. The festival is rounded off with the Crema-tour-ium, a behind-the-scenes visit to Redditch Crematorium and to Westall Park Natural Burial Ground on Saturday May 26. BrumYODO has held events in Birmingham for four years and launched A Matter of Life and Death, which is supported by Arts Council England, last year. The team has won national acclaim and two awards for community engagement. BrumYODO chair Anna Lock says: "Each year we've found that arts and activities are a fantastic way of encouraging open and honest conversations about death and dying – subjects that society generally shies away from. This year's A Matter of Life and Death is packed with lots of very different activities which we hope will make people laugh, will encourage them to chat and will definitely make them think. We are still adding events to the programming so watch this space for more." For full details of all the A Matter of Life and Death events and tickets see the website.